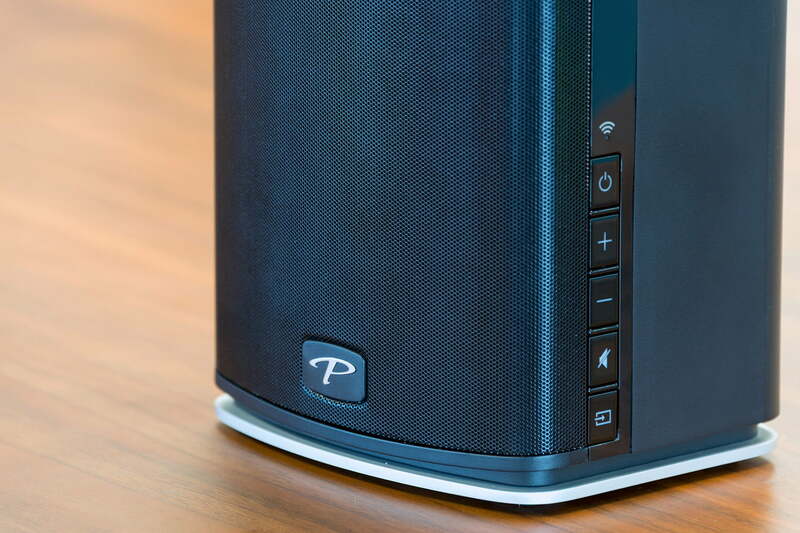 Paradigm's PW600 reads your room to deliver knock-out sound quality tailored to your home. In the expansive wireless speaker market, DTS’ Play-Fi system is one of the few true challengers to the reign of Sonos and its impressive line of multiroom speakers. Unlike Sonos’ walled garden, which can only connect Sonos-brand speakers, Play-Fi’s open-source approach licenses its Wi-Fi streaming tech to a wide array of manufacturers so you can mix and match speakers throughout your home to suit your needs. Premium speaker maker Paradigm has added a new member to the Play-Fi family in the PW600. Along with multiroom Wi-Fi streaming, the Paradigm PW600 boasts a secret weapon that gives it an edge on many of its competitors: Anthem Room Correction. The feature allows the speaker’s formidable sonic skills to shine regardless of your listening room’s acoustic failings for great sound anywhere – as long as you’ve got a PC on hand. 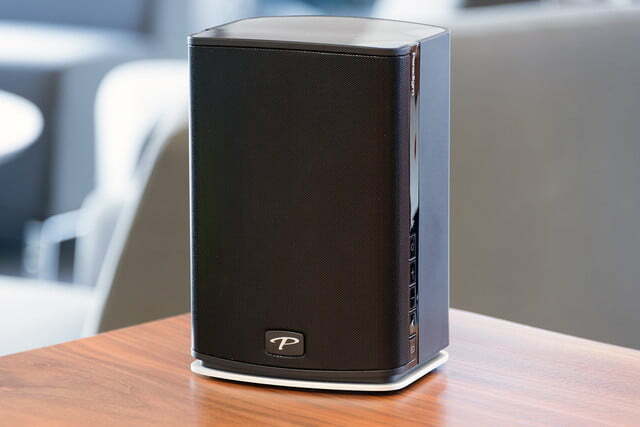 The PW600 is a sturdy 2-way speaker standing 10 inches high, with a 6.5-inch by 5.5-inch footprint, meaning it won’t take up all that much space, but still has a noticeable presence. The front grill is a solid black plate, as are the side panels where volume, power, and other controls reside, all of which feature LED backlighting. On the back are the usual connections, including power and Ethernet ports, and a 3.5mm analog input. 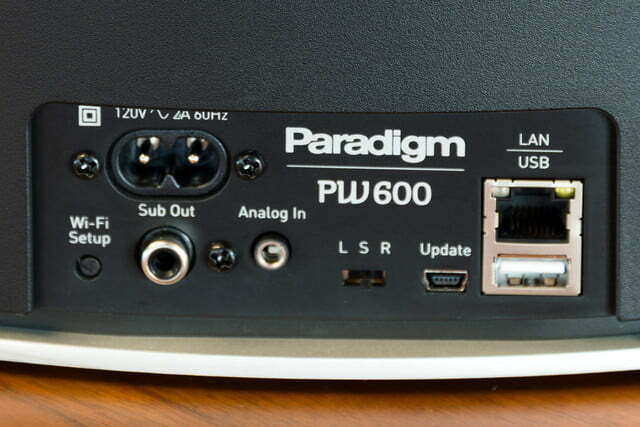 Less familiar is a subwoofer output for hardwiring a separate subwoofer, as well as a left/right/center switcher, for assigning the speaker in a stereo setup with another PW600. Accessories in the box include a power cable, an Ethernet cable, a pre-calibrated ARC mic with mini-USB port, a USB-mini to USB cable, as well as three pamphlets for setup based on operating system (iOS, Android, PC), a user manual, and a pamphlet on setting up Spotify Connect. Initially, we had some difficulty getting the speaker to connect to our home network. While Ethernet connection is as simple as connecting the included cable to an Internet router, the PW600 took more coaxing than other Play-Fi speakers when connecting to our wireless router. After downloading the DTS Play-Fi app and following the directions, it took a couple rounds through the process (and a factory reset) to finally get the speaker up and running. We had a similar experience connecting the speaker to our dedicated home theater router at the office, though it was easier and did not require a reset. Once connected, however, the speaker streamed music consistently throughout our testing. Beneath the PW600’s somewhat mundane exterior, the speaker houses three drivers in a two-way design, including a five-inch midrange driver below and dual one-inch, ferrofluid-cooled tweeters above. The system is powered by class-D amplifiers which pump out a claimed 200 watts RMS. 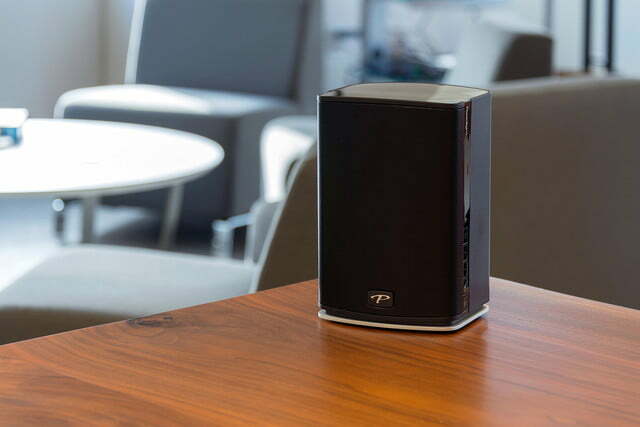 Dual-band wireless connectivity allows connection to 2.4Ghz or 5GHz over 802.11g/n, and the speaker supports high resolution audio at 24bit/192kHz. That beats Sonos’ CD-quality resolution cap (16bit/44.1kHz), which may appeal to those with a computer or storage drive loaded with high resolution tracks. As mentioned, the speaker can be paired with another PW600 for true stereo sound. The switch at the back must be flipped from the center position to left or right in such a case to designate the separate channels. The subwoofer output also allows you to add a powered subwoofer to the party. In addition, the PW600 includes a notable further step that can take your listening experience from merely “good” to “great” in the form of Anthem Room Correction. A major highlight of the PW600, Anthem Room Correction (ARC) tunes the speaker to its acoustic environment to achieve the best possible playback quality. We’ve been vocal in the past about our adoration for Anthem’s correction tech, which works by measuring the sound in a room with a specially calibrated microphone, then makes corrections based on the acoustic anomalies it registers. While the process is prone to flaws, Paradigm/Anthem’s process still reigns supreme, yielding desirable results time and time again. For the PW600, the process involves connecting an included ARC mic to a windows PC, then moving the microphone to different spots in the room while the speaker emits a tone. 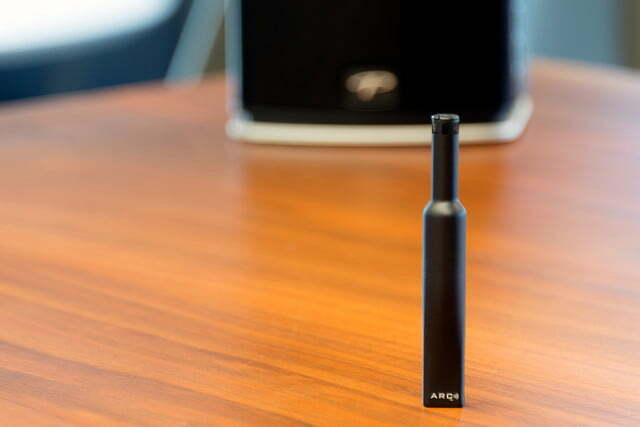 The mic captures the tone and the data is crunched by your computer with the third-party ARC program, allowing the speaker to adjust the sound via digital equalization. The PW600’s ARC tech is simpler and slightly more streamlined than what you’ll find in a full-featured Anthem receiver, but it’s still able to attain impressive correction quality. We’ll get into that more in the performance section below. There is one major caveat, however, and that’s a lack of Mac compatibility. The only way to use ARC features if you’re a Mac user is to Boot Camp your hard drive to install Windows as a secondary OS – a wholly unnecessary and tedious operation if you only need Windows for ARC. While ARC is impressive, the lack of Mac support closes off a good chunk of of the PW 600’s potential users from its best feature. 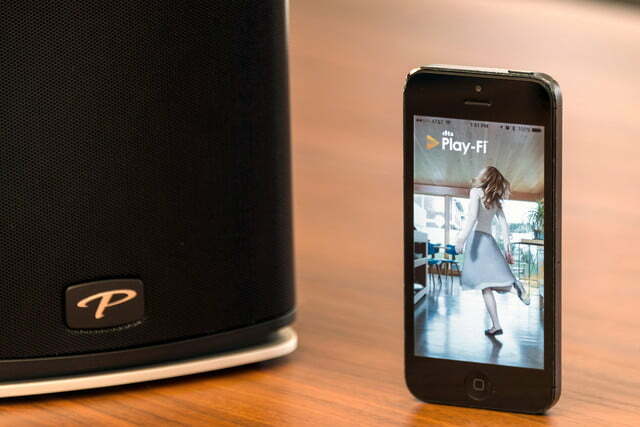 While the Play-Fi app is an impressive way to connect speakers from manufacturers as varied as Martin Logan to Polk Audio, it leaves something to be desired when it comes to versatility and ease of use. Like Sonos, Play-Fi supports Amazon Prime Music, Pandora, and Spotify, as well as streaming from media hubs on your network, or audio content on your mobile device. 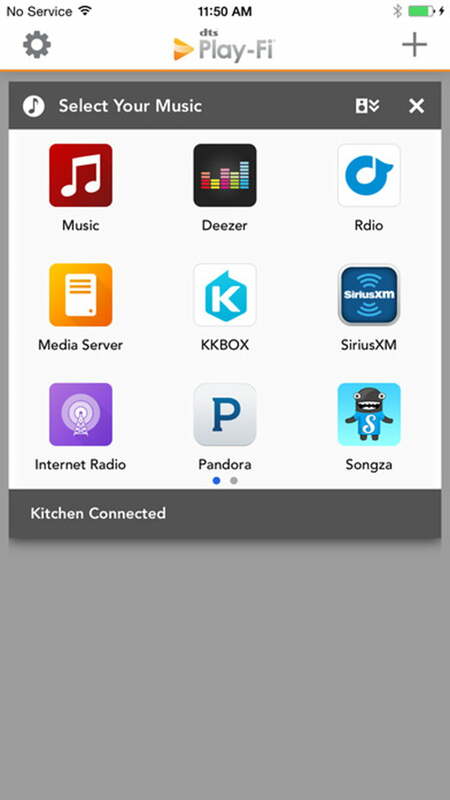 Absent, however, are Apple Music and Google Play Music, both of which are supported by Sonos. 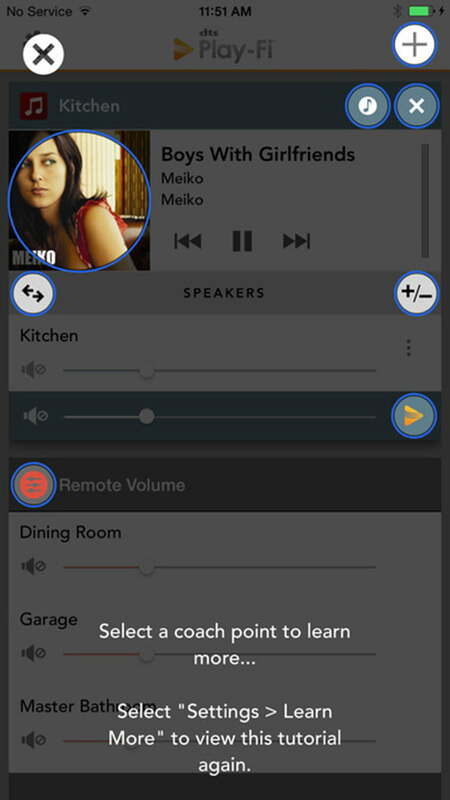 The app’s interface is also a bit clunky, making grouping together multiple speakers more work than it should be. The PC version of the app is simpler, but more restrictive, allowing playback to only one speaker at a time, and you’ll need a $15 upgrade to sync audio playback to video. 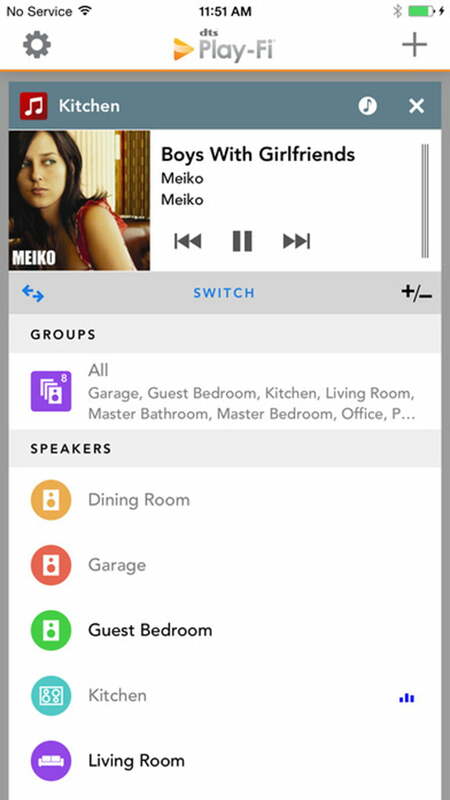 On the bright side, switching between multiple speakers on the mobile app is easy — just tap on the name of the speaker you want to control. Delegating different speakers to play content from separate services is also simple (and nifty), done by tapping on the speaker and selecting the app of choice. We were also able to group the PW600 along with a Polk Audio Omni S6 and listen to the same music at different ends of the house. Out of the box, the PW600’s bass response was punchy and a bit overpowering, muffling the midrange, especially on heavier guitar-driven tracks or hip-hop. That’s not to say bass sounded bad – it was firm and powerful — there was just too much of it, and it affected the overall balance of the music. Take a track like Chance the Rapper’s No Problem for example, which features plenty of sampled choirs and subtle melody in the high end. Those subtler elements were overshadowed by the bass and lower mids on the PW600, and treble (such as cymbal crashes) sounded washed out. The PW600 handles heavier musical genres with impressive power, especially in the bass. That’s when we went about calibrating the PW600’s EQ with ARC, and we were stunned by the results. After we ran the process, the PW600’s low end tamed and tightened up, revealing the previously crowded and muffled midrange and treble. 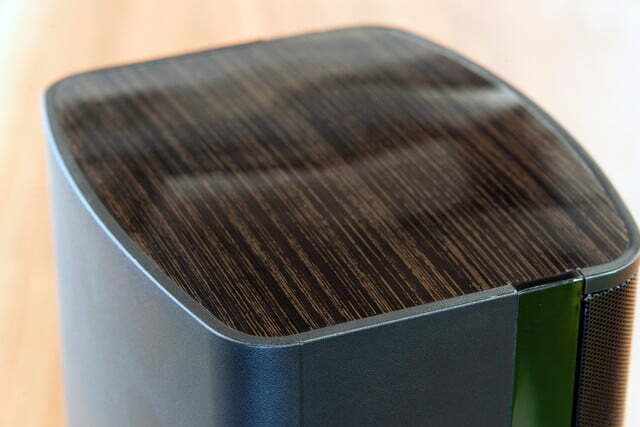 Those previously hidden elements were more identifiable, and helped add texture to the mix. The PW600’s $600 price point puts it in direct competition with Sonos’ impressive PLAY:5 ($500). Compared side by side, the PW600 is outpaced ever so slightly by the Sonos Play:5, especially in terms of balance in the mix. The gulf of quality between the two speakers is less apparent when ARC is factored in. Still, there are some very clear differences. The Sonos PLAY:5’s upper register offers a warmer touch and better detail than the PW600, while the PW600 boasts fuller bass. We noticed far more subtlety playing a track like Run the Jewel’s DDFH on the PLAY:5, but the PW600 handles even heavier genres like death metal with more pizazz. Everything is still audible via the Sonos, but the PW600 offers more oomph. A few misgivings about the Play-Fi app aside, the Paradigm PW600 is a fantastic piece of equipment, and Play-Fi’s brand versatility could make it well worth a slightly clunky app interface. The ARC software being incompatible with Mac is a notable drawback, but even without the fine-tuning ARC provides, the PW600 is a great sounding speaker. The Sonos PLAY:5 is an obvious alternative, and the PW600 lags behind in certain aspects of sound performance (albeit minimally). Still, we enjoyed the PW600’s more powerful bass, as well as the versatility to adapt to its acoustic surroundings. While Sonos’ Play:5 bests the PW600 when it comes to ease of use and overall sound quality, those looking for a speaker that better adapts to changing environments will want to give the PW600 a shot. Toting the premium build and sound quality you’d expect from Paradigm, the PW600 should hold up for the long haul. It can also be mixed and matched with all other Play-Fi speakers, allowing it to easily stay in your wireless speaker configuration even if you choose to switch brands – provided you choose one of Play-Fi’s many partners, that is. Adding in the Anthem Room Correction means the PW600 can easily make the transition to new locations. If you’re looking for serious versatility to go with premium sound, yes. With ARC and Play-Fi, the PW600 can adapt to any room and link up with a wide array of speaker options, making it one of the most adaptable speakers on the market. But when it comes to overall sound quality and ease of use, Sonos’ Play:5 is still the speaker to beat.